It’s official – millions of Brits are happiest when they’re in the pub, a study has revealed. A poll of 2,000 Brits saw more than a quarter admit they feel happiest when enjoying time in their nearest watering hole. Despite many pubs closing their doors, and more and more people opting to stay at home to have a drink, the nation’s love affair with their local is as strong as ever. And Brits are most likely to escape to the pub for a pick-me-up after a hard day at work, an argument with a partner or just to catch up with an old friend. 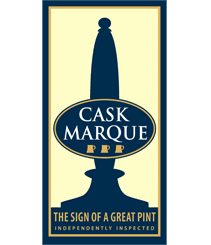 The survey was conducted by Tribute Cornish pale ale – St Austell Brewery’s flagship beer – to celebrate Cask Ale Week, which runs until October 1st. A third of Brits surveyed through OnePoll.com also laugh the most at the pub, twice as many as those that have a giggle at work and more than at their friends’ houses. And it was also revealed to be the most likely place to catch up with friends, outstripping cafés, restaurants and the gym. Brits visit the pub twice a month on average, and three in ten say they often escape to the pub when they’re feeling stressed or annoyed. One in five Britons also visit their local so often they’re on first-name terms with the bar staff and landlord. Catching up with friends was voted as the number-one reason that Brits love to get to the pub, with the general atmosphere a close second. And the main reason for pubs to exist – the chance to have a few drinks – was the third most popular reason for a visit.